Shown galloping forwards with its head tuning back, this abstract metal horse sculpture evokes a sense of power and movement. Formed from pieces of mottled, worn metal, this abstract horse has a distinctly industrial feel, making it the ideal accessory to complement warehouse or loft style homes. Standing atop a small rectangular platform with bolts for feet, the horse is depicted in mid-air as it strides forward. 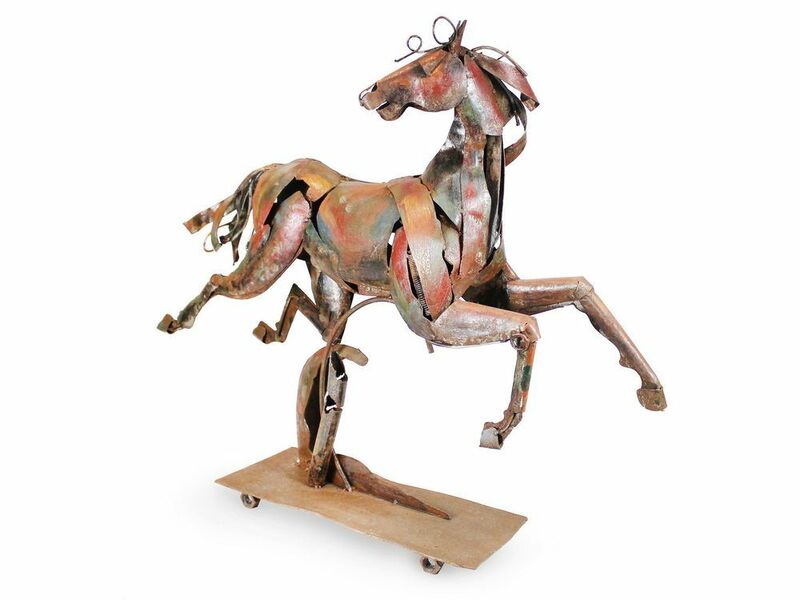 The uneven colouring of its metal surface gives this running horse sculpture a lovely rustic, aged look that adds character and depth to the design.